After a long, relaxing summer a few years ago, I sat down at my desk and began to sort through what seemed like a million emails. The majority of the messages were from colleges looking to schedule appointments to visit our high school. As a high school counselor, I knew that exposing my students to a variety of educational opportunities was an integral part of the college application process. However, with more than 80 colleges visiting within a two-month period, scheduling an appointment often turned into a time-consuming game of telephone and email tag. I needed a way to minimize the back and forth correspondence while increasing the number of colleges visiting my high school. In search of a solution, I reached out to admission reps and other school counselors. I discovered that many of the available online scheduling programs lacked the flexibility that a high school counseling office needs. College admission reps loved that high schools were using online scheduling programs, but they struggled to keep track of each school's specific scheduling link. With this in mind, I decided to create RepVisits. The mission was simple: to increase access to higher education by bringing high schools and college admission reps together on one website to schedule appointments. RepVisits launched in 2015 with 13 Connecticut high schools on board. Word spread quickly and I learned that I wasn’t the only one struggling to handle the demands of working in education. Through regional and national conferences, I realized that even though we may come from diverse backgrounds, work in different schools, and serve various types of students, our hearts were in the same place. Everyone who inquired about joining RepVisits wanted to ensure student success post-graduation. It was this mentality and the resulting collaboration that fostered the growth of RepVisits. Today, RepVisits has more than 11,000 users at 1,600-plus high schools and more than 2,000 colleges and universities around the world. I am excited to expand upon the mission of RepVisits as I join the Hobsons family. As a Product Manager for Hobsons’ matching solutions, I look forward to developing the next generation of RepVisits, which will include important enhancements and an integration with Naviance. I am eager to use my experience as both a school counselor and the founder of RepVisits to improve the connection between high schools and college admissions offices. But most of all, I am excited to continue helping students discover their best-fit educational opportunities. 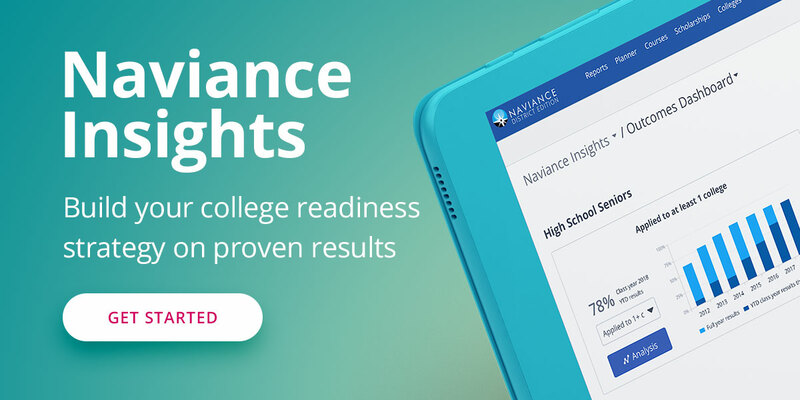 Over the next few months, my colleagues and I look forward to engaging with school counselors and college admissions reps to incorporate your expertise and input into the integration of RepVisits with Naviance. Together, we plan to develop a seamless process within Naviance to schedule visits and to communicate with one another. By helping high schools and colleges connect, you can continue to collaborate on what you do best: helping students achieve their education and life goals. Current and new users of RepVisits can access the site at RepVisits.com. To learn more about RepVisits joining Hobsons, please read our press release.